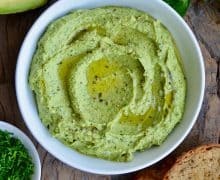 We are charging into our latest installment of our weekly Meal Plan series! 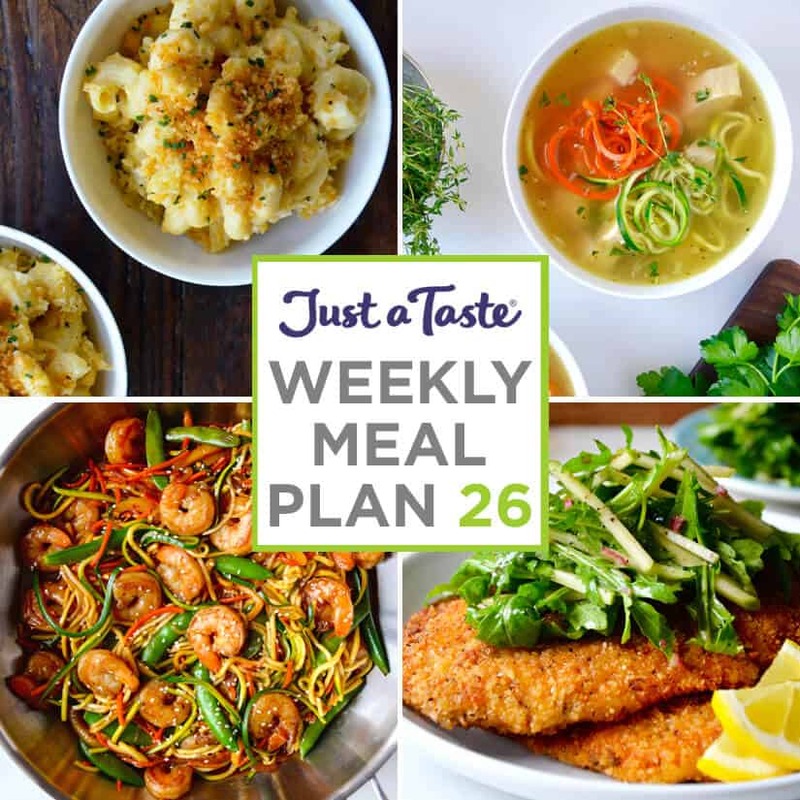 This week features comfort food favorites with a twist, including chicken Milanese, zucchini noodle chicken soup, roasted garlic macaroni and cheese, and Asian zucchini noodle stir-fry. And don’t miss the ultimate fall sweet treat on-a-stick! 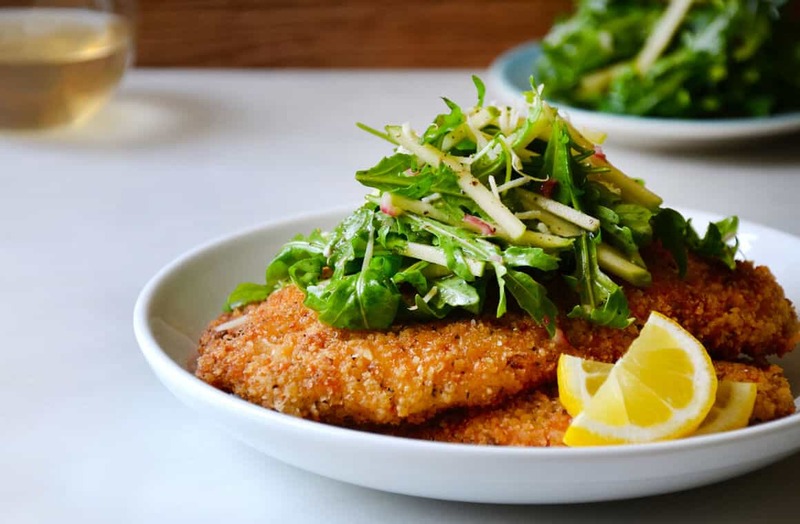 Have dinner on the table in 30 minutes or less with this recipe for chicken Milanese topped with green apple salad. Pair this quick-fix main dish with the best secret ingredient mashed potatoes for the ultimate family-friendly meal. 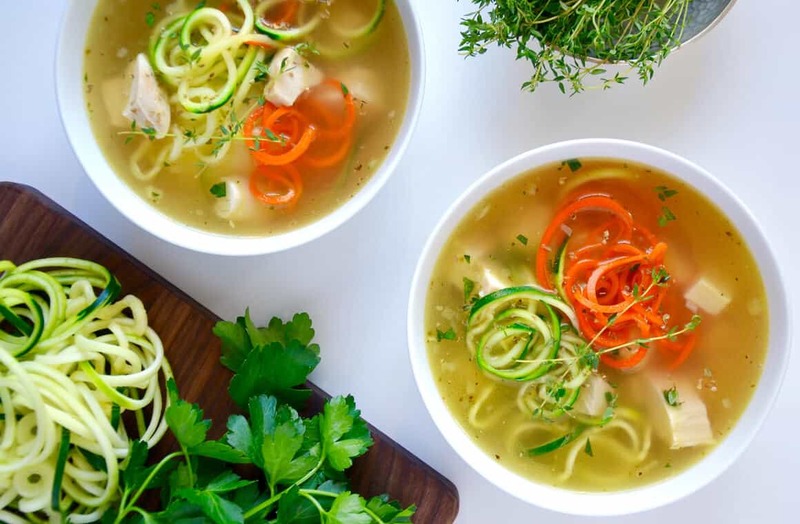 Warm up while you add a healthy twist to a comfort food favorite with zucchini noodle chicken soup. And have no fear, you can whip up zucchini noodles three different ways without a spiralizer! 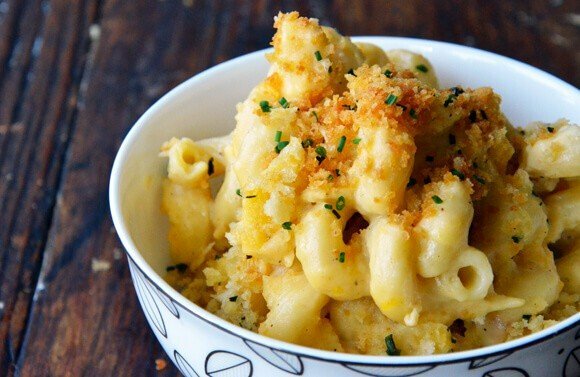 Kick up the flavor of everyone’s favorite cheesy dish with crowd-friendly roasted garlic macaroni and cheese. Plus, get ready for a spooktacular Halloween by putting your skills to the test with chocolate Halloween cupcakes with cream cheese frosting. 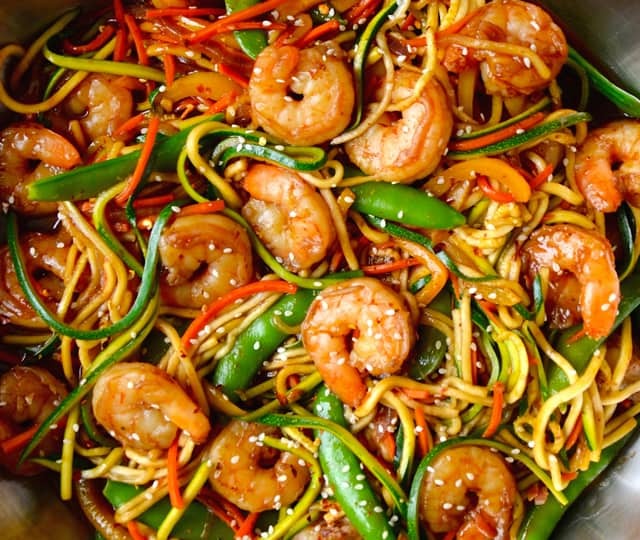 Whip up the ultimate takeout-fakeout with easy homemade Asian zucchini noodle stir-fry with shrimp. 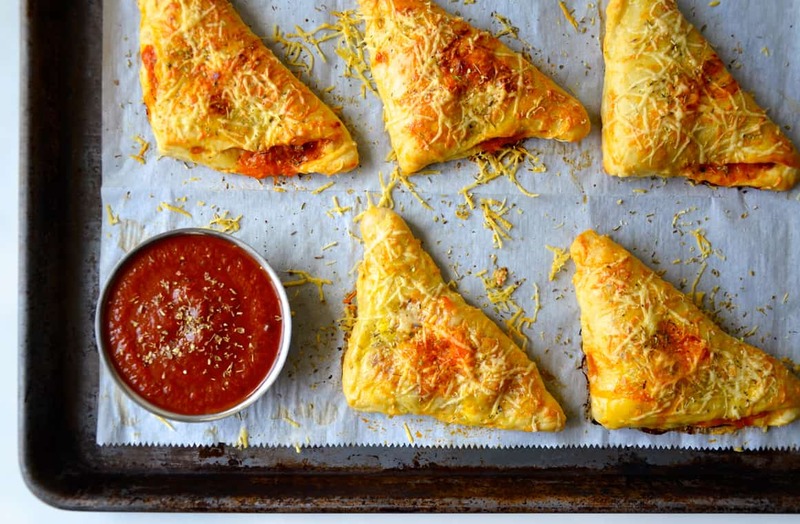 Add a sweet finale to your take on takeout night with banana chocolate wonton poppers. 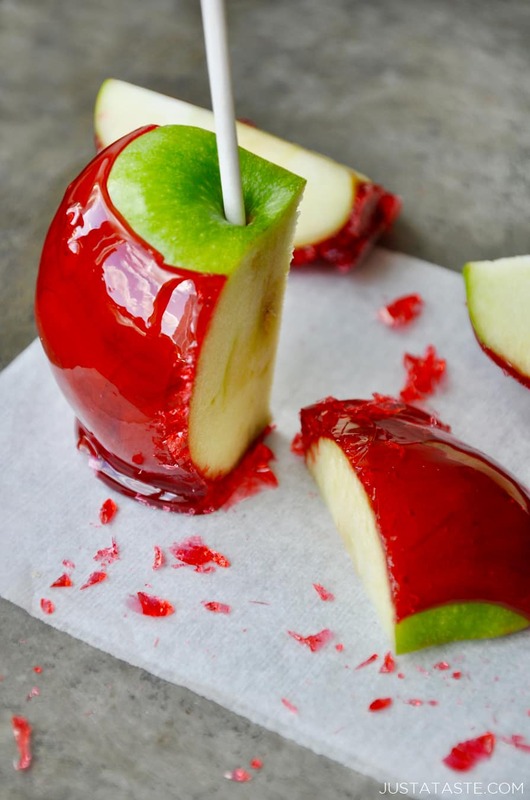 Add a pop of color to your fall dessert repertoire with sweet and crunchy homemade candy apples. Find more inspiration for fall’s freshest fruit with caramel apples, apple fritters, salted caramel hand pies and more fruit-filled favorites.